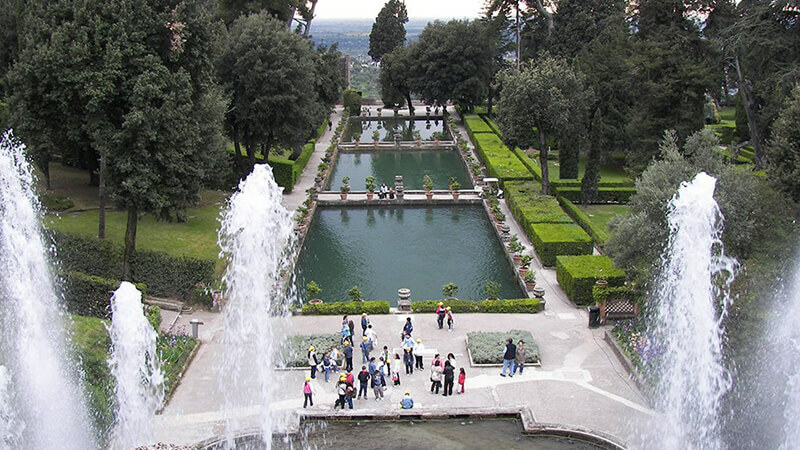 Tivoli Guided Tour - Tivoli Group Tours from Rome, Tivoli and its Villas Group Tour, a visit to Hadrian's Villa and Villa d'Este - Daily Tours from Rome Tivoli Guided Tours - Going along the motorway 30 Kms. east of Rome we will get to Tivoli, a world-known small town since ancient times for its soothing spring of “Acqua Albulea” (sulfurous baths). Crossing Ponte Lucano, we will admire the Tomb of Plautius Lucanus before arriving to visit the ancient Roman Hadrian’s Villa (from the parking till the entrance a walking distance of 300 meters has to be calculated) built under the homonyms emperor "Hadrian". 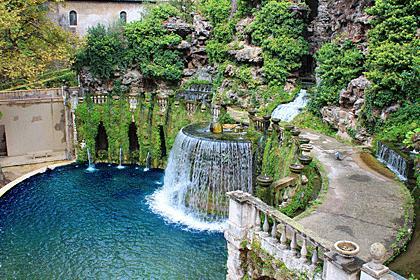 We will continue our sightseeing with a visit of Villa D’Este, a Renaissance jewel, famous for its water system, the architecture of its gardens, the pavilions, the artificial caves and countless fountains.